Asylum Research, the technology leader in Scanning Probe and Atomic Force Microscopy (SPM/AFM), has announced the new Electrochemistry Cell (EC Cell) for its MFP-3D™ AFMs. 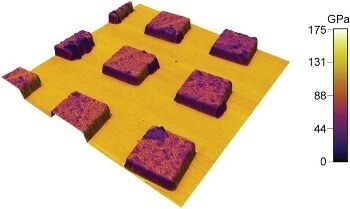 The EC Cell is a versatile platform for electrochemical experiments combined with AFM imaging. The EC Cell, shown with heater, provides heating from ambient to 60°C. The heater allows, for example, studies of electrolytes which are not liquids at room temperature. 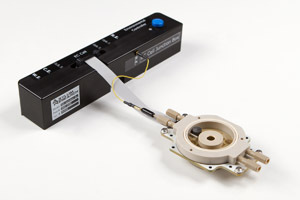 The EC Cell accommodates samples (working electrodes) of various sizes, including metal cylinders, flat conducting samples, and even conducting thin films on insulating substrates, and enables studies of deposition, oxidation, corrosion, and mass transfer of metals and other materials. Nanoscale topographical changes can be precisely monitored in situ as induced by electrochemical reactions. The cell provides for heating from ambient to 60°C (optional) and can be operated in a fully sealed configuration.